It’s always payday for somebody, and largely thanks to two major 2017 data breaches, more people than ever are looking for an illegal payday at your expense. Large information leaks at the Internal Revenue Service and Equifax have combined to make the 2018 filing season one of the most scam-prone in history. Part of our commitment to economic justice at Napoli Law involves giving you the tools you need to protect yourself during this time period. 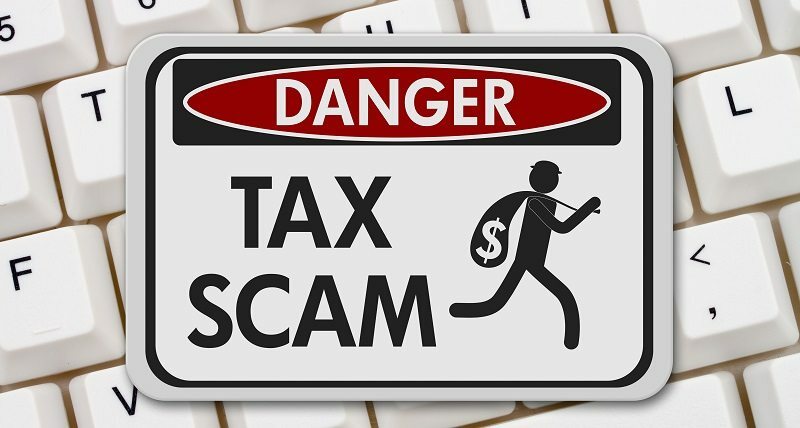 Always be on your guard, but be especially ready for these five common income tax scams. One of the newer tax scams is also one of the most devious ones. Hackers use stolen identities to file fraudulent tax returns. To raise fewer red flags at the IRS, the paperwork asks the government to deposit the tax refund in the same account where it went last year. Once the refund goes through, the scammers call the taxpayer, claim that the IRS erroneously deposited the refund, and ask for the money back. In other words, scammers send you money then trick you into giving it to them. To avoid being a victim, first of all remember that the IRS very rarely makes mistakes that involve giving people too much money. Furthermore, if the Service has issues with a refund, the first correspondence is always in writing. Finally, the scammers often imply that some of the consequences for failure to comply include drivers’ license suspension and jail time. That’s simply not true. In a related scam, hackers use their ill-gotten information to prepare dummy W-2 forms. They use these forms to file 1040s and pocket the refunds. Usually, taxpayers have no idea that they have been victimized until they receive a letter from the IRS which says the agency already issued the return. About the only way to stop this fraud is to file early, especially if you anticipate a large tax refund. A scammer with a bogus IRS identity badge number and a caller ID scrambler reaches out to a taxpayer and demands payment on an account. Making the contact seem even more legitimate, many hackers know a lot about their targets thanks to stolen personal information. To intimidate the taxpayer, the scammer is often very aggressive. Individuals with limited English proficiency are especially at risk for this tax scam. Once again, the best defense is to take a breath. The IRS never demands payment without giving the person an opportunity to contest the amount due, and the government never asks for a wire transfer or a prepaid gift card. Finally, the Service generally sends taxpayers written bills through the mail before following up by phone. Some of these fake emails also contain malware. If you click a certain link or download a certain file, the scammer could corrupt your computer and steal your personal information. The best approach may be to always assume that such emails are fake. Reach out directly to the IRS or the company which purportedly sent the email to confirm its contents. If the communication urges you to do something immediately, that’s further evidence of its illegitimacy. Despite its official-sounding name, the Taxpayer Advocacy Panel is basically an IRS focus group that basically has no real power. Most people don’t know that, which is why scammers impersonating TAP agents often reach out to taxpayers. This organization has nothing to do with refunds, has no use for taxpayers’ personal information, and is not authorized to obtain such data. A TAP that asks for such information is always a phishing scam. If a scammer targets you, it’s very important to report the matter. Since thieves constantly change tactics, it may be a new scam that no one else knows about, and your report could prevent other people from becoming victims. At Napoli Shkolnik PLLC, we are committed to making the lives of New Yorkers a little better. One way we do that is to help them keep more of the money they are entitled to, whether it’s an income tax refund or a personal injury settlement. Call us today to learn more.